An esteemed Board of Directors is comprised of volleyball and business professionals from within the Triangle community and beyond. The Board of Directors is charged with ensuring organizational and financial stability, longevity and continuity of mission and operations. 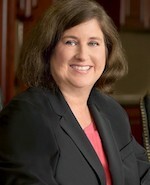 Caren has practiced law in the Raleigh Durham area since 1990. She leads Smith Debnam’s Consumer Financial Services Litigation and Compliance Group where she advises banks and other consumer finance entities regarding federal and state consumer protection laws and regulations. 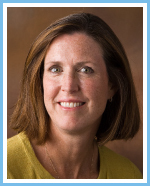 Caren previously served as PTA presidents at both Fuquay Varina Elementary School and Holly Ridge Middle School. She has also served as the Chair of Middle Creek High School’s Business Alliance. Caren is the parent of two (Caroline and Garrett). Caroline both played and coached at Triangle and was a team member of the Triangle’s first Courts for Kids trip to Costa Rica in 2014. 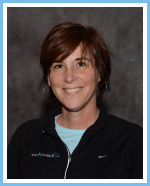 In addition to serving on the Board of Directors Mary Ann serves as the Finance Director for Triangle Volleyball Club. Mary Ann and her husband were the chairpersons for the Cardinal Gibbons Annual Fund Drive –’09-10 and she currently serves as the Alumni Parent Chair of the same fund. Mary Ann also coaches the Junior Varsity Girls’ basketball team at Cardinal Gibbons High School. The Enzweilers have four children, Tara (Class of 2006, University of Notre Dame), Thomas, Matthew and Luke. Fadool has served as Triangle’s Executive Director since July, 2011 after serving as Associate Director. Fadool began working with Triangle in 2006 to provide marketing and operations support for Triangle’s newly commissioned facility. Fadool’s focus on compliance, governance, and operational excellence provided the stability and structure needed to manage Triangle’s unprecedented growth during this time. She was hired as Triangle’s Director of Business Operations in 2007 and promoted to Associate Director in 2009. In 2013 Fadool led the expansion of Triangle’s Globe Center facility from four to seven courts allowing for significant team and program expansion. Her innovative approach to organizational development and business operations have helped distinguish Triangle as a market leader in youth sports. Her leadership is central to Triangle’s mission-focused approach and its strong commitment to grow the sport of volleyball. Fadool has been instrumental in the development and implementation of Triangle’s extensive year-round slate of volleyball training. Her strength in strategic marketing management has played a key role in Triangle’s emergence as one of the premier clubs in the nation. Fadool has contributed to the comprehensiveness of Triangle’s club-wide training program by leading several injury prevention initiatives including the installation of an orthopedic subfloor, incorporation of the PowerCore 360 hitting curriculum, and development of Triangle’s physical therapy interface with Trinity Wellness. These efforts to advance safety in sport led to Triangle’s selection in 2013 as one of five finalists for the National Council of Youth Sports S.T.R.I.V.E. award. In 2009, Fadool planned and executed on an eight-week time frame MAPL Raleigh, a 12-court convention center tournament which was the first-ever such event in Raleigh. In 2016 Triangle added the City of Oaks Challenge, a three-day event at the RCC over the Martin Luther King, Jr. holiday weekend. The ongoing success of MAPL Raleigh and the introduction of City of Oaks Challenge has firmly established Triangle’s reputation among city leaders and the local business community as a respected contributor to downtown economic growth. These contributions are among those which led to Fadool’s selection in 2014 as a recipient of USA Volleyball’s Robert L. Lindsay Meritorious Service Award. Her contributions and that of Triangle to the economic development of downtown Raleigh were recognized in 2016 when Fadool received the most prestigious honor from the Greater Raleigh Convention and Visitor’s Bureau, the Thad Eure, Jr. Memorial award which recognizes an individual or group who has made significant contributions to Wake County's hospitality industry. Fadool was elected to the Junior Volleyball Association's [JVA] Board of Directors in 2015 and currently serves as chairman of the America Volleyball Coaches Association [AVCA] Club Awards Selection Committee. Fadool has presented multiple times at the AVCA annual conference and has participated in multiple webinars for the JVA. Fadool holds a B.S. in Chemistry from Central Michigan and a M.S. in Chemical Engineering from Michigan State University. She has over 20 years of leadership experience in community organizations and the not-for-profit industry. Sherry and her husband, John, live in Raleigh. They have two adult children, Jeff and Michelle [Triangle Class of 2010]. Dawn's experiences as a corporate consultant and educator lend valued support to the Triangle board. In addition to her involvement with junior club volleyball in the Carolina Region since 1996, Dawn has also served as Advisory Board Chair for Our Lady of Lourdes School, President/Scholarship Chair of the Georgia Tech Triangle Alumni Club, President of the Cardinal Gibbons HS Crusader Club (athletic booster club), co-founder of the Crusader Classic Golf Tournament, co-founder of the Joe Uniacke Memorial Volleyball Tournament and USO tour entertainer. Dawn has four children: Lindsey, Kelly (Class of 2003, Georg Washington University), Greg (former Triangle coach), and Katie (Class of 2008, Penn State University). Mike was co-founder, director and coach of SpikeForce Volleyball Club for six years. In 2008 he joined Triangle Volleyball Club as a coach for 14 Blue, finishing in second place in the Carolina Region and qualifying the team for USAV Junior Olympic Nationals. Mike served in various coaching positions at Triangle for 5 years. Originally from Ohio, Mike and his wife, Nancy, came to North Carolina to complete his graduate degree in electrical engineering at NC State. They currently reside in Apex where Mike also serves as a member of the Town of Apex’s Planning Board. They have two children who both have ties to Triangle; Kristi as a student-athlete and Jennifer as a coach. Assistant Vice President, Toll Brothers, Inc.
Glenn is a licensed professional engineer with over forty years of experience in the engineering, survey, building and development industries. Glenn and his wife Pat have lived in Durham since 1987 and have four children - all who have played collegiate sports - two coming up through the ranks at Triangle Volleyball (Ginny, Class of 2007-College of Charleston and Victoria, Class of 2012 - UNC Wilmington). Glenn, a dual sport athlete played both basketball and soccer at Stevens Institute of Technology. Glenn has served on the parish council at Saint Francis of Assisi Church, and enjoys coaching middle school basketball and soccer at Immaculata Catholic School in Durham. Sandy holds a B.S. in both Mathematical Sciences and Psychology from Virginia Commonwealth University. Sandy has over 15 years of experience providing clinical data management and statistical consulting to the pharmaceutical industry. Sandy was employed by A.H. Robins and Glaxo Inc. before starting her own consulting company with husband Joe in 2010. The Quinn’s have one son Tripp (played golf for East Carolina University) and two daughters, Kaitlin (Triangle Volleyball Class of 2011) and Erin, (Triangle Volleyball Class of 2014, Randolph Macon College). Sandy and her husband Joe live in Morrisville. 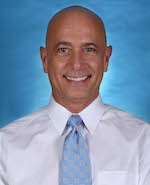 Joe has been a NCAA Division I coach for over thirty years. From 1981-1990 he was the head coach at the University of Pennsylvania for both the men's & women's teams. He became the head coach at the University of North Carolina in 1990 and has been directing the Tar Heel program for the past 25 years. He served on the AVCA (American Volleyball Coaches Association) board for 14 years including two years as President of the Association, and AVCA Awards Chair for 10 years. He is a member of the USA Volleyball Coaching Cadre, and has served as coach with multiple USA select teams as well as a member of the USA Volleyball Board from 1996-98. Coach Sagula and his wife Ingrid Weber-Sagula reside in Chapel Hill. 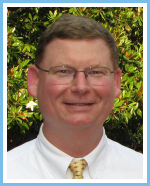 Alan has over twenty-five years experience providing leadership and technology services to governmental and not-for-profit organizations.He has held several leadership positions within the Boy Scouts of America, has served on the Wake County School Board Advisory Council, and coached several youth athletic teams. Alan holds a B.S. in Management of Information Systems from Florida State University. Alan and his wife Maureen live in Raleigh and have two children, Ryan and Kathleen (Class of 2010, Penn State University).